overwhelmed with the idea of giving birth. Our classes are in-depth and cover both the physical process of labour so you know what to expect, while also giving you and your support person the skills to navigate your birth experience. 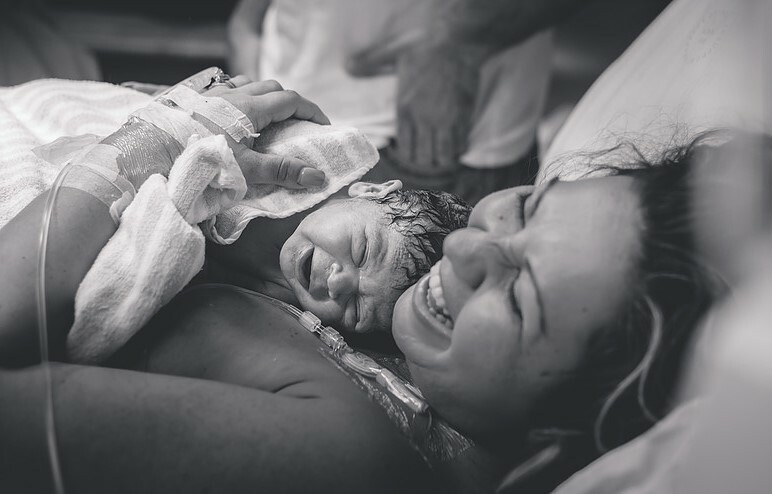 Illawarra Birth Classes are taught by two birth doulas, Alyssa and Amelia, who are experienced with supporting births at Wollongong Public and Wollongong Private Hospitals. Rather than teaching just one method for how to cope with labour, we will teach you both a large range of comfort skills. We also don’t tell you how you should give birth. We give you the skills and knowledge to best achieve whatever type of birth you are planning. we will ensure that you know your options. Whether you are birthing at hospital or having a home birth, this class has everything you need to feel prepared and confident. Hospital classes are a great start but to get modern, complete, unbiased education, independent antenatal classes are the best way to have all the information. It’s not just women who are daunted by the idea of labour and birth, most partners also have their own fears and worries. The most common concern is seeing their loved one in pain and not knowing how to help. Which is totally understandable! In our class, partners will learn how they can help you physically and emotionally to make birth easier. Even though birth is unpredictable we also want you both to be prepared for common scenarios so will explain what to expect at our local hospital. If you find that none of the dates for the group classes are suitable for you, we also offer private classes that can be scheduled when it suits you. Imagine enjoying the last weeks of pregnancy feeling positive and prepared to give birth. Instead of being scared you feel relaxed and even a bit excited that you get to embark on the life changing journey that is childbirth. Having a deep understanding of birth gives you and your partner the tools and education to navigate your baby’s birth with confidence.